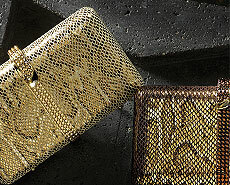 How gorgeous is our new Galina snakeskin minaudiere? While it also comes in metallic pewter and gold, I especially love it in this midnight blue snakeskin. 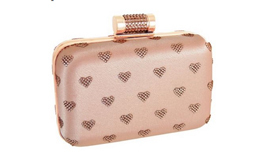 The perfect clutch bag to dress up for holiday parties and NYE, but versatile enough that it also looks stunning paired with jeans and a tee (and maybe some heels) for a stylish but casual night out. 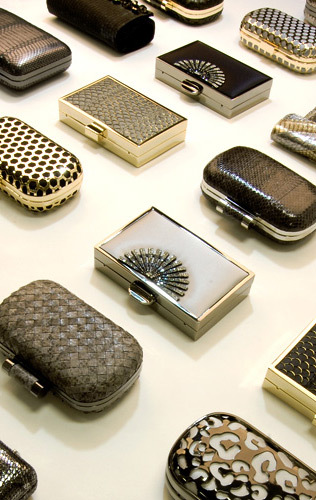 Whatever events the new year throws your way, from black tie formals to nights out with friends, this versatile, almost-neutral yet absolutely striking clutch makes a glamorous go-to bag that fits the essentials and pairs with (almost) anything you put on. 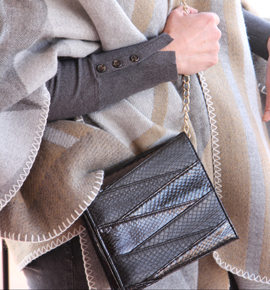 One of my favorite fall bags- YVONNE minaudiere in the deepest, darkest black. Already in development for next Spring's product... Bright bobbed wigs won't be part of the line, but I clearly have a mini-fascination for them right now. Say Cheese! Or Maybe Cherries? Look at Marissa (of Chloe Rose Boutique), Ashley (oh, to have those legs...) and Angie (of Angie Silvy Photography) at our spring product photoshoot in sunny San Francisco today. So gorgeous in their Cherry Red! Do you think they called each other the night before to arrange it?